Most of the Turkish people choose doner kebab when they want to eat something in a restaurant. Doner is a part of a food culture dating back hundreds of years and, naturally, it’s one of the most popular and delicious dishes in Turkey. Therefore, the fame of doner has already exceeded Turkey and it’s a very well-known food all over the world. One of the first things that even the tourists visiting Turkey want to know is where to eat delicious doner. In short, doner has become another healthy fast food option all over the world. Doner can be served in various ways. Considering it’s a fast food, it is mostly consumed as a doner wrap or sandwich. And if you wish to have your doner at a nice restaurant, you can order a portion of doner on a plate. The best thing about having your doner on a plate is that pilaf, french fries, grilled peppers, and tomatoes are served on the side. Moreover, if a special tomato sauce and butter are added on top of doner, it turns into another great dish named Iskender Kebab. There are many doner shops and restaurants serving doner and some of which are highly famous in Istanbul. 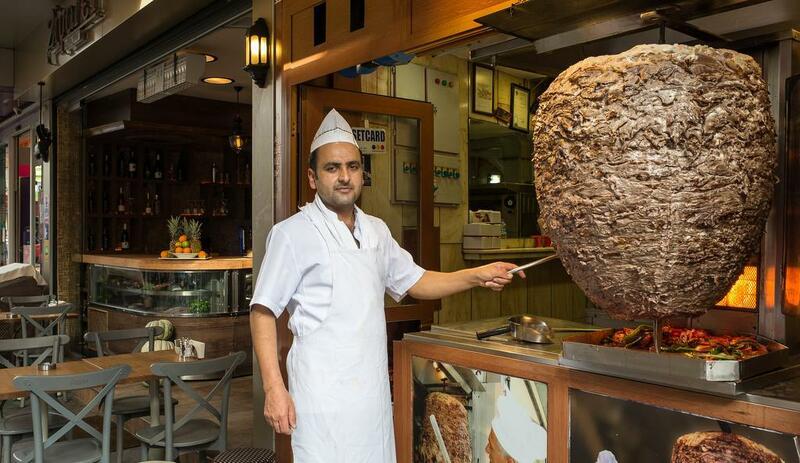 These famous restaurants owe their fame to the chefs preparing doner at these places. 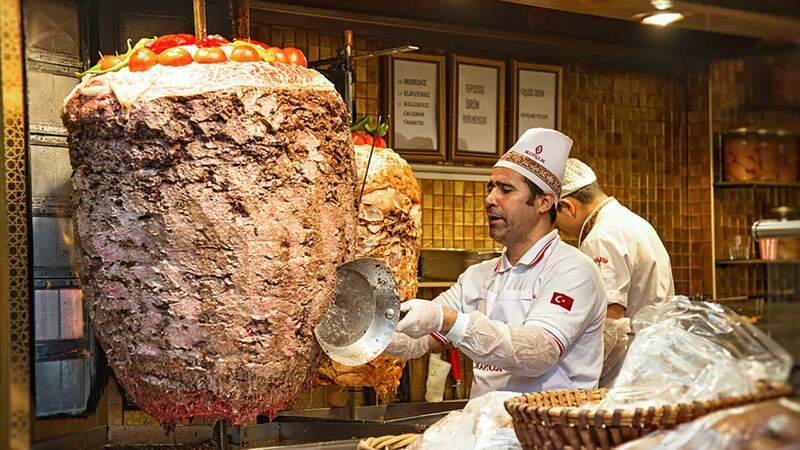 I’ve made a list of the best doner kebab restaurants in Istanbul hoping that it will help visitors looking for delicious doner. Karadeniz Doner is located in Besiktas and it’s among the prominent restaurants in Istanbul. Many people all over Istanbul flock into this restaurant and you can often see a long queue in front of the shop. Despite its huge popularity and high number of customers, Karadeniz Doner maintains its standards. Doner at Karadeniz Doner is a special one. A little lamb meat is mixed with beef in doner. However, beef consists most of the doner here. The meat used in making doner is supplied from Balikesir and therefore, the taste of doner is always good at Karadeniz Doner. Many people who happen to be at Besiktas Carsi eat doner at Karadeniz Doner. Many national TV channels that broadcast shows about food and famous gourmets in Turkey regard Karadeniz Doner as one of the best doner kebab in Istanbul. Kasap Osman is located in the Old Town on Hocapasa Street, where you can find great restaurants. Istanbul’s best restaurants in their own category can be found here and you are recommended to try pide, meatballs, cag kebab, and lahmacun here. 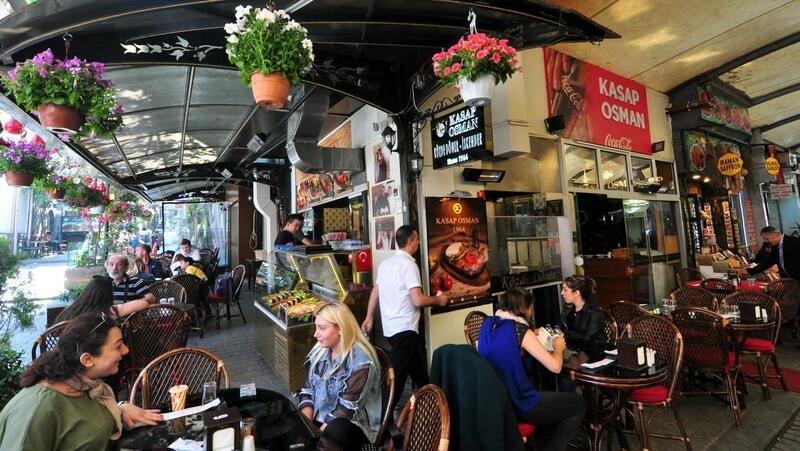 Kasap Osman is the best doner shop here and it stands out as one of the best places to eat doner at Sirkeci-Eminonu neighborhood where you can find other amazing restaurants and dessert shops. Doner at Kasap Osman is served with pilaf on the side and the meat is specially chosen by the butcher himself. Kasap Osman is an ideal place for lunch for the ones doing shopping at Spice Bazaar and the nearby area. If you visit Kasap Osman, you can relax in its garden and enjoy the traditional atmosphere of the Old City. And Kasap Osman is only 5 minutes walk from Sirkeci Tram Station and Sirkeci Marmaray Station. Its perfect doner makes it one of the best doner shops in Istanbul. Donerci Sahin Usta is located in another historical neighborhood, Beyazit. Both the visitors coming to Grand Bazaar and the merchants of the bazaar show huge interest in this shop. Considering there are more than 3000 shops at Grand Bazaar, you can guess how many merchants take a lunch break at the same time. Therefore, due to this high demand, Donerci Sahin Usta is busy almost every hour of the day. The local cuisines of Istanbul are already in the lists of international travel books. And Sahin Usta is often mentioned in such books. Therefore, Donerci Sahin Usta attracts the attention of both foreigners and locals alike. Due to the rising interest of people in history via TV shows and books, the Istanbul Old City is attracting more and more visitors every day. Thus, everything traditional attracts more attention than ever. Doner shops, one of the most important elements of a traditional diet culture, get their share too. Donerci Sadik Usta is located in Aksaray, which is another historical neighborhood in Istanbul, and it is a great doner shop with its generous portion and delicious doner. At Donerci Sadik Usta, doner wrap is one of the most popular choices among doner lovers. Sandwich doner is served with tomatoes and peppers on the side. And doner is made of the mixture of lamb and beef. If you feel hungry while visiting the main tourist attractions in Sultanahmet area, you may give a lunch break at Sedef Bufe. Sedef Bufe is located just a few minutes walk from Sultanahmet Tram Station. You may find it next to Simit Cafe which is easier to recognize from the distance. Sedef Bufe has been serving in the same place for a long time. It’s a well established doner kebab place in Sultanahmet with a good reputation. You can have your doner as a wrap or sandwich if you’d like a quick lunch. But I would recommend you to order the doner on a plate (there is 1 and 1,5 portion options). The sliced meat of a doner kebab is served with some chips, fresh vegetables and rice, so that it’s a perfect combination for a healthy lunch. They also have Iskender Kebab which is served with special tomato sauce and yogurt. 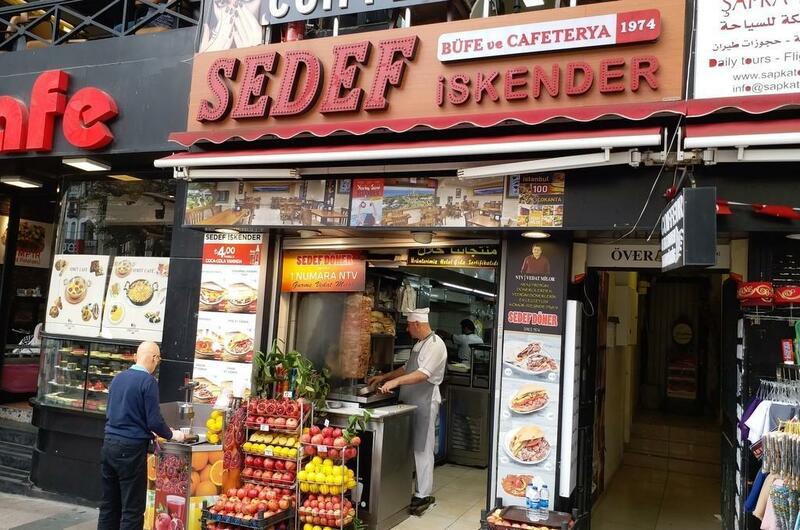 Sedef Bufe is easy-to-find and delicious Doner (Shawarma) Shop in Sultanahmet. In order to find the Sedef Bufe, you need to take the Hagia Sophia behind you and walk up the Divanyolu Street (Tram Line Street). When you find the Sultanahmet Tram Station, just keep going the same direction and you will see McDonalds, Simit Cafe and Sedef Bufe side by side on your left. So far, we’ve mentioned the places that are famous for its beef doner. Meydan Ciftlik, located in the heart of Besiktas, however, is famous for its chicken doner. As the shop is located in a central place, it’s highly popular and the take-away option is in high demand at Meydan Ciftlik Doner. This is because the shop is close to business centers in Besiktas. And if you are a football lover and want to watch a game at Besiktas Vodafone Arena, it’s one of the gathering places for the fans before a game starts. And you can order delicious kanafeh at Meydan Ciftlik Doner after your meal. Café Krepen, which served its customers from 2008 to 2014 at Istiklal Street in Halep Pasaj, now serves as Munhasir Doner & Kebap. 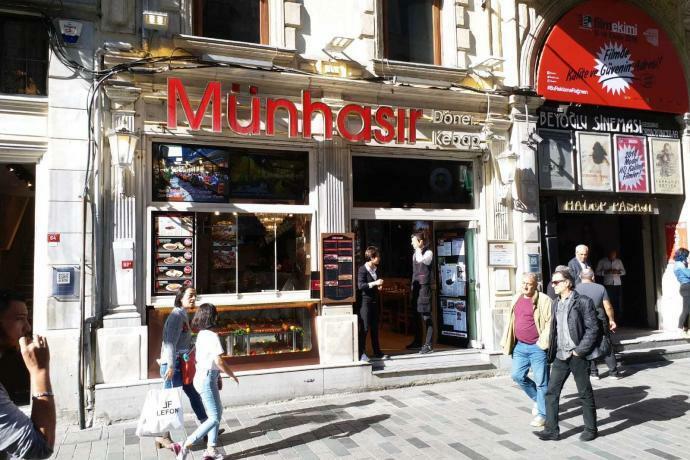 Munhasir Doner & Kebap has become one of the popular places for both local and foreign tourists in Istanbul. At Munhasir Doner & Kebap, you can go for doner wrap or doner in pita. Additionally, if you have your doner on a plate, it’s served with sauce, pita and butter, which is served as iskender kebab. 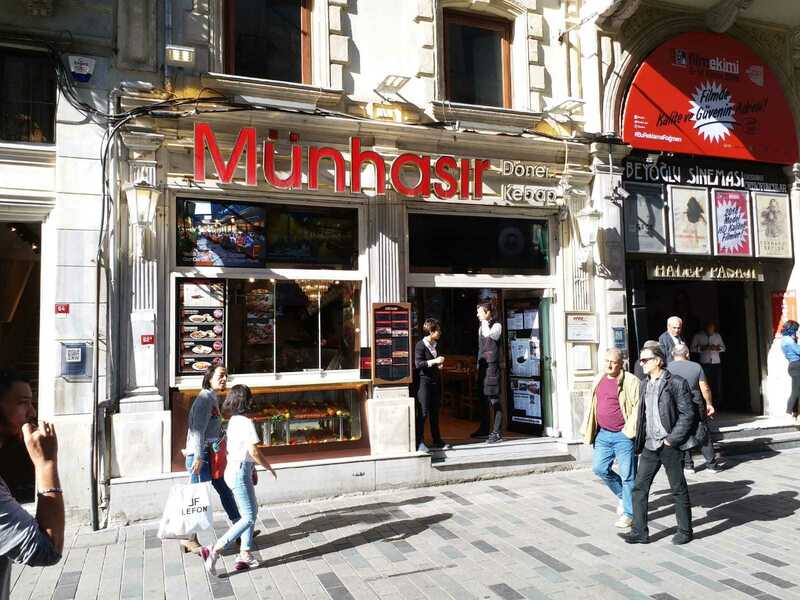 Moreover, you can also have local delicacies like salad and kibbeh at Munhasir Doner & Kebap. Tourists visiting Sultanahmet usually go to Eminonu neighborhood to make a great end of their day. Your travel in time will be unfinished before you go to Eminonu and do shopping at Spice Bazaar, which has become brand new thanks to the renovation carried out recently. When you feel tired after visiting the impressive and colorful shops at Spice Bazaar, you can take a lunch break without having to go too far because Zumrut Bufe is right on the corner of Spice Bazaar’s Sirkeci Buyuk Postane exit. Both local and foreign tourists show huge interest in Zumrut Bufe as it’s one of the best places to eat doner in Istanbul. Doner is served with mashed potatoes on the side at Zumrut Bufe and doner wrap is the most popular choice among its customers. One of the best options for the ones visiting Galata Tower and the nearby areas is Donerci Engin. It’s a popular choice for doner lovers and it’s located in Beyoglu neighborhood. Sishane is the exact location of Donerci Engin and it has a different presentation of its doner, unlike its competitors. Doner at Donerci Engin is cooked in a wood fire in Bayburt style. Moreover, the amount of fat and salt in doner are balanced excellently here. 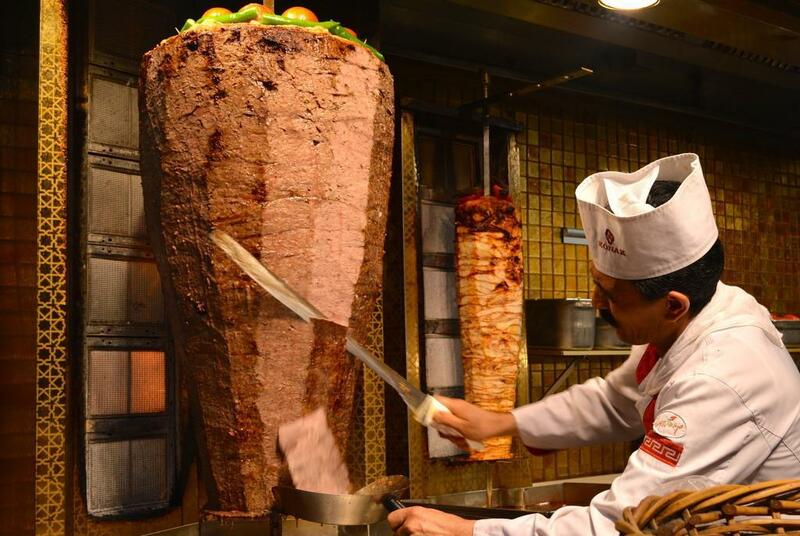 One-fifth of doner is lamb meat and the rest is beef meat at Donerci Engin. Moreover, salt, black pepper, pimento, and a little cinnamon are added to doner. Doner at Donerci Engin is served with french fries and pickles. Heybet Doner’s central branch is in Bahcelieveler and it has another branch in Hadimkoy. Doner is cooked in a wood fire and a 30 kg doner is cooked at a time. Doner meat served at Heybet Doner is really delicious. Onion with sumac, carrot and red cabbage salad, pepper and cucumber pickles are served for free at Heybet Doner and the wrap bread for doner is made here too. Doner is served with a piece of tomato and pepper at Kardes Lokantasi, which is a well-known place among doner lovers. Doner at Kardesler Lokantasi is made of lean beef meat only. Kardesler Lokantasi is regarded as one of the best doner shops in Istanbul and, apart from its Kemerburgaz branch, Kardesler Lokantasi has a few more branches in Istanbul. After its Atasehir branch, another one was opened in Kadikoy and this place offers some other special dishes apart from doner. Gourmet doner is served with drained lentils from Kizilkaya, Mardin, fresh shepherd salad, ayran and french fries at Tatar Salim Doner Lokantasi. The meat is supplied from Biga and Kesan area mostly and it is marinated with special sauces and served daily. Tatar Salim produces its own traditional sour ayran believing “The best drink that goes with doner is ayran.” Water that is used to make ayran is supplied from Madran and the salt is supplied from the Eastern Anatolia region. Tatar Salim has also dessert in its menu. Classical rice pudding without starch is cooked in a stone oven seasoned with stick vanilla. Overall, Tatar Salim is regarded as one of the best doner restaurants in Istanbul Asian Side. Donerci Ali Usta was opened in 2004 and doner is served in a pita sandwich, wrap, on top of pilaf or as iskender kebab. Donerci Ali Usta has 4 branches in Istanbul, which are Maltepe, Umraniye, Meydan Shopping Mall, Atasehir, and Sirinevler. You can find lintels and ezogelin soup in Donerci Ali Usta’s menu and doner wrap and pita sandwich doner are the options for your little ones. If you like ayran, you can have Susurluk ayran at Donerci Ali Usta. Where to Eat the Best Doner Kebab in Istanbul? Its first and only branch is in Kavacik and doner is cooked in a wood fire at Bayramoglu Doner. Doner is served with onion salad, shepherd salad, french fries, pepper pickles, and thin bread. You are recommended to have ezogelin soup as a starter before having doner, which is pinky and moderately fat. Donerci Celal Usta was opened in the center of Umraniye in 2007 and apart from doner on top of thin bread, you can go for sandwich and pita sandwich options too. You can also find pilaf and Susurluk ayran in its menu as well as kanafeh and rice pudding. It was founded by Celal Koc who has been in the food sector since 1975 and it serves its customers in its 8 branches, the last of which was opened in Kartal in 2015.